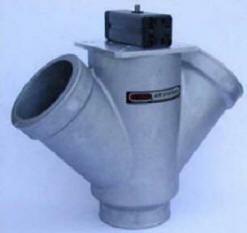 Sonics blower enclosures reduce standard sound levels from 85-87 dB to as low as 75 dB. 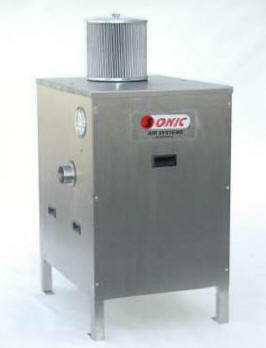 Sonic can provide a Sonic SMART™ Air Knife Tunnel with a Sonic blower/air knife system for your drying needs. Sonics SMART™ Air Knife Tunnel contains moisture and heat in the tunnel preventing fluids from being sprayed onto the production floor or other sensitive equipment. Sonics SMART™ Air Knife Tunnels are designed to provide proper exhausting of air which prevents atomized fluid from redeposting on a product surface as it leaves the Sonic SMART™ Air Knife Tunnel; with the removed fluid draining properly. Redepositing of fluids typically occurs with 'in-house' fabricated or improperly designed air knife tunnels. Sonics centrifugal blower air knife systems are used for cooling products as well; from vulcanized rubber mats after forming to refinery plates. 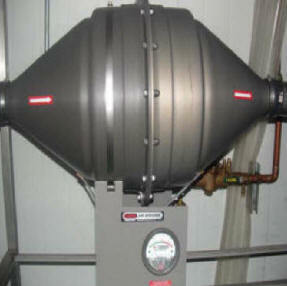 Sonics blower systems can be provided with Sonics COOL-AIL™ in-line blower air cooler. This system can reduce the discharge air temperatures to approximately 10º-15ºF above the chilled/cooling tower water temperature. Combined with Sonics rotating air knife, for longer dwell time, cool-down time can be greatly reduced. Sonics stainless steel modular air knife brackets enable quick and easy air knife adjustments along the X, Y & Z axis and only require 1 bracket for every 30" of air knife. 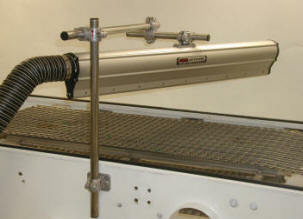 This design avoids additional clutter along the conveyor line and easier mounting ability in tight spaces. As a Sonic centrifugal blower runs under normal operating conditions, the bearings maintain a normal temperature range of approximately 110º-150ºF. When the bearings reach the end of their life cycle, the bearing temperature gradually increases. 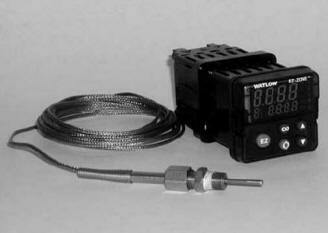 Sonics Predictive Maintenance Monitor uses a temperature sensor probe to detect this temperature rise which warms of imminent bearing failure. The signal can be utilized in a variety of ways, from as simple as activating a warning light to integration with PLC's. The trip temperature is factory set to 175ºF. Sonic Predictive Maintenance Monitor greatly reduces the risk of expensive non-scheduled downtime.